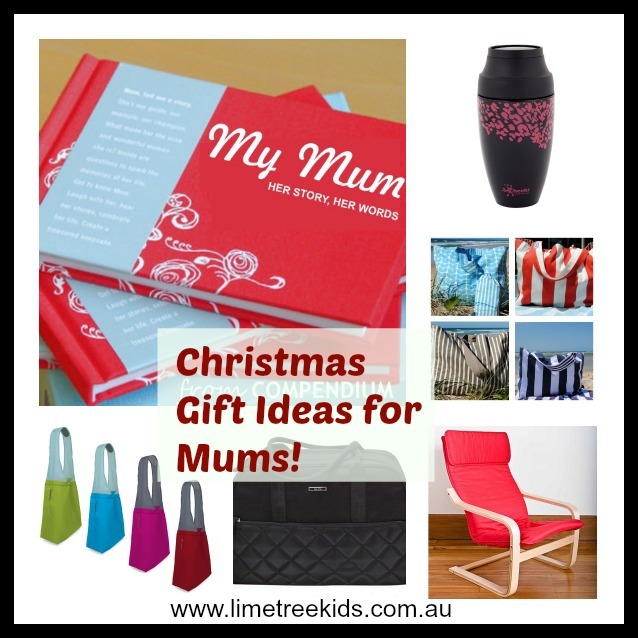 Christmas Gift Ideas for Mums: The Best Presents for a Mum! Yes, I know, Christmas is along way off, right? Actually, no! Now is the best time to start scouting for Christmas gift ideas for mums, dads and everyone else in the family! Not only will you have the peace of mind that all your gifts will reach well in time,you will also be able to have a shortlist of gift ideas and then, pick them up when you spot a great deal! Yes, Christmas does not have to mean extra expenses, does it? The My Mum Interview journal is a beautiful gift for not only Christmas but any occasion. Gorgeous fabric-covered and foil-stamped, the journal will inspire a mum to share her story from her life in her words. A gift that will help her not only relive memories but create new ones for generations to come. With summer comes beach season and beach trips mean lugging towels, change of clothes,toys, snacks, books, first aid and more. A stylish yet roomy beach bag by Jeanie B is the perfect Christmas present for a mum who likes to stay organised and have everything she needs, when she needs it. Pair it with a gorgeous Flip and Tumble reusable shopping bag and you have the perfect gift for a mum-on-the-go! Designer yet practical, nappy bags have never had it so good. They’re gorgeously styled yet practical enough for a new mum learning to manage baby and a ton of stuff with only two hands. At LimeTree Kids, we know how to pick what’s stylish and yet superbly comfy for a mum.So, if you want to make a new mum squeal with delight, get her one of these mumma must-haves! Every mum wants a little nook of her own. A comfy, cozy space to read in, knit, sew, or just sit and sip on a cuppa tea. If you want to splurge, this sleek and stylish armchair will be a great gift for that special mumma! Know a mum who loves her cup of java? Get her a chic and classy stainless steel coffee mug by Cheeki. Pair it with an elegantly designed Camelbak Eddy glass bottle and you have the perfect gift package for the mum who’s fond of staying hydrated and energised with style! What’s on YOUR Christmas wishlist, this year? Share with me in the comments or join the LimeTree Kids parent community on Facebook!